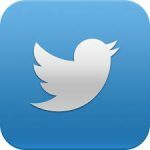 Lá Fhéile Pádraig Sona Daoibh! 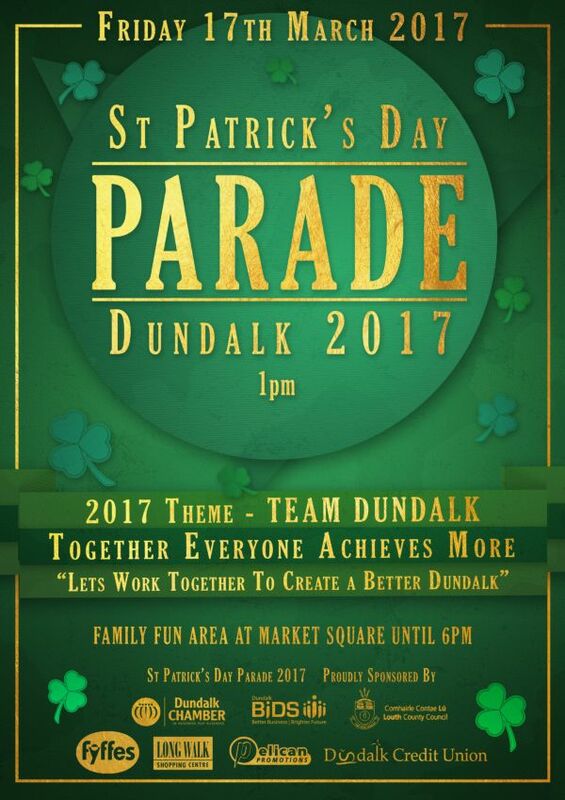 TEAM Dundalk is the focus for this year’s St. Patrick’s Day Parade in Dundalk on March 17th, we hope you can join us as we celebrate the exceptional team spirit within our community. The parade starts at 1pm, followed by the ‘FamilyFunZone’ 2-6pm around Market Square! All over the world St. Patrick’s Day is celebrated with spectacular parades, and Dundalk is a shining example of this – each year the festivities attract thousands of people from near and far into the heart of our town making it one of the biggest Saint Patrick’s Day gatherings in the region. Parade Information | Starts at 1pm departing from The Longwalk, proceeding to Griffith Place, turning right onto Church Street and continuing through Clanbrassil, Crowe, Francis, Park & Dublin Streets, finishing on Stapleton Drive. Keep a look out for the 6 Disney Princesses, Buzz Lightyear & Woody from Toy Story who will be joining in the fun with a Meet & Greet for the children! 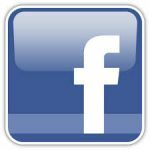 ‘FamilyFunZone’ Information | with Pelican Promotions at Market Square in Dundalk, including a Toddler Area, Paddle Boats, Infinity Tower Slide, Rodeo Bull, Slides, Disco Dome, and much much more! €6 Unlimited Access Wristbands will be available to purchase from the sales desks in front of Stitchcraft on Earl Street & Dundalk Tourist Office at Market Square. We will be using the hashtag #TEAMDundalk to share our photos on the day. Dundalk BIDS is proud to be one of this year’s event sponsors.